are hand poured in small batches in our studio in West Seattle. We work carefully to source our high quality candle components. 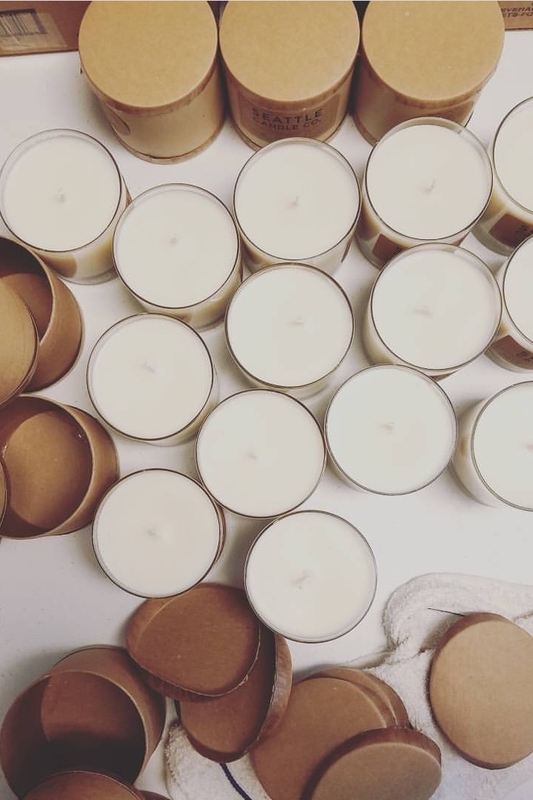 Our candles are composed of 100% soy wax, coconut oil, thoughtfully selected scent oils and cotton-paper wicks to ensure a cleaner burning experience.